Office 365 ProPlus is a new subscription plan for Office 365. It enables users or businesses to extend their Office productivity software (including Word, Powerpoint, Excel, and others) to allow installations to up to 5 different devices per user. The account is tied to the user, not to any one device, so it allows seamless interaction between working on home devices and on mobile devices. It also allows users to deactivate their software in the case that any one of their devices is compromised or if a person leaves the business. Friday Midnight - 8:00 p.m.
Visit lib.lsu.edu for more information about Middleton First Floor Hours. This article shows you the step-by-step process of how to send a print job from your Mac laptop to one of the LSU Public Access computer lab print servers. Anyone with a valid PAWS ID and a Tiger Card now has the ability to print out documents remotely from their laptop in any of the LSU Public Access computer labs. Once you connect to a printer and submit your print job, all you have to do is use your Tiger Card to release and pay for the job at the PHAROS pay-station located in the lab where your print job was submitted. There are two wireless printing options for Mac users, using web release through MyPrintCenter using your web browser or by installing the Mac Printer Package through TigerWare. You can also print wirelessly at LSU from your Windows Laptop, for more information review the following: Wireless: Printing from a Laptop (Windows). Use the e-mail address and password that is registered. This is set up when you want to log in on behalf of someone else. More information can be found: myProxy: LSU Overview. Contact the Help Desk: helpdesk@lsu.edu | 225-578-DESK. 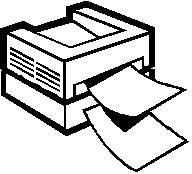 LSU On-Campus Printing options include: Public Access Lab Printers, LSU Copier Printers, & Mainframe Printing. Restriction: The print lab has 3 foot wide paper rolls. Files in which both the height and width dimensions are bigger than 3 feet CANNOT be printed in these locations. There are several restaurants, and two main dining halls to choose from on campus. 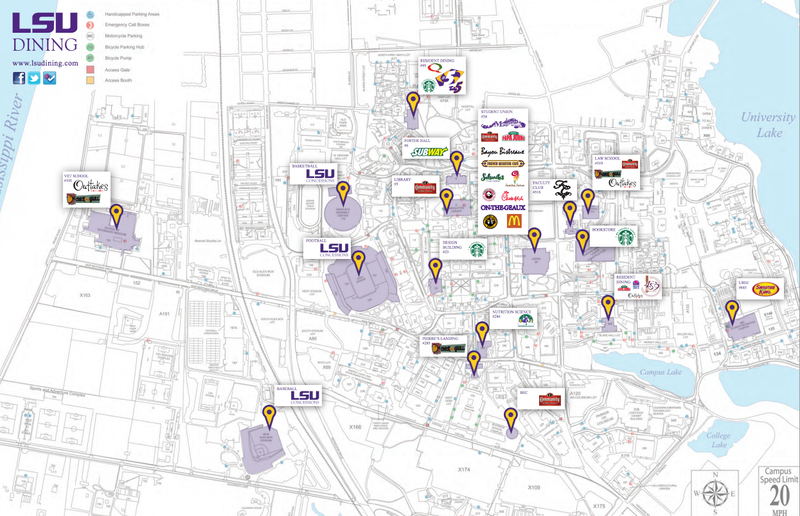 LSU Dining Halls, The 5 & The 459, can be located on the map below along with all other dining options and locations.